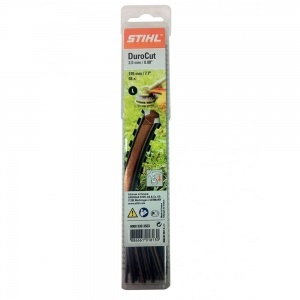 A 48 pack of pre-cut mowing line lengths, with 3 mm diameter. These pre-cut lengths have a serrated profile that makes them particularly ideal for rough mowing and tough jobs. Designed to fit the STIHL DuroCut 20-2 and DuroCut 40-4 heads. Suitable for the DuroCut 20-2 and the DuroCut 40-4 Cutting Heads. These XXL pre-cut line pieces are ideal for the DuroCut 40-4 mowing heads from STIHL. 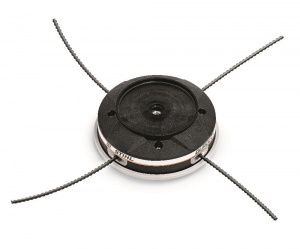 48 are supplied in each pack, with a 4 mm diameter and 215 mm length. A mowing head that's easy to use and compatible with a wide variety of line types and sizes, this head can take double or quadruple lines. A genuine STIHL part.